Ah, the bounty of youth. Healthiness sure comes easy during these times: we’re full of vigor, life, energy, focus, and drive. Life’s ups and downs, crazy schedules, and challenges are easier to handle when abundant health is so close within our grasp. As we age, however, this abundance slips farther and farther from our fingertips. Tapping into that energy and health is blocked by one extra inevitable obstacle: growing older, a hurdle none of us can ever completely avoid. When we’re down and out as we age, we’re certainly down for much longer than when we were in our youth. Sicknesses are harder to kick. Symptoms feel more intense. Aches and pains are sharp, tiredness feels like a load of bricks….so on and so forth. We may start to feel a steady dwindling of our energy (both in the bedroom and in normal life) while even a couple trips into bad diet habits has more noticeable effects on health than ever before. Yes, aging can be difficult. None of us can avoid it. But that doesn’t mean we’re powerless against its challenges, or that there’s nothing we can do to make it easier. No, aging can’t be stopped—but it can be made a little easier. We’ve all heard the tropes before: eat well, get good sleep, exercise every day, all things in moderation. That covers a lot of the bases. But some of us may wonder: is that all? The answer: no—not when adaptogens are figured in. What are these “adaptogens?” You may have heard of them before. Think of them as a little bit like superfoods, though that’s certainly not the best way to describe them—and when broken down, superfoods are quite different. Adaptogens can come in the form of foods, sure. But they usually tend to be healing herbs (or even fungi) that have been used to boost health for hundreds of years—sometimes even millennia. Today, adaptogens continue to gain favor as effective health foods and supplements. That’s because science has unraveled and confirmed quite a bit of their potential. In fact, they’re called adaptogens because they help the body “adapt” to the effects of stress, sickness, disease, and—yes—age. A lot of adaptogens are herbs (like ginseng, ashwagandha, and schisandra) but the amazing chunk of them are actually mushrooms. These include ones like lion’s mane, cordyceps, maitake, and even the unusual chaga. 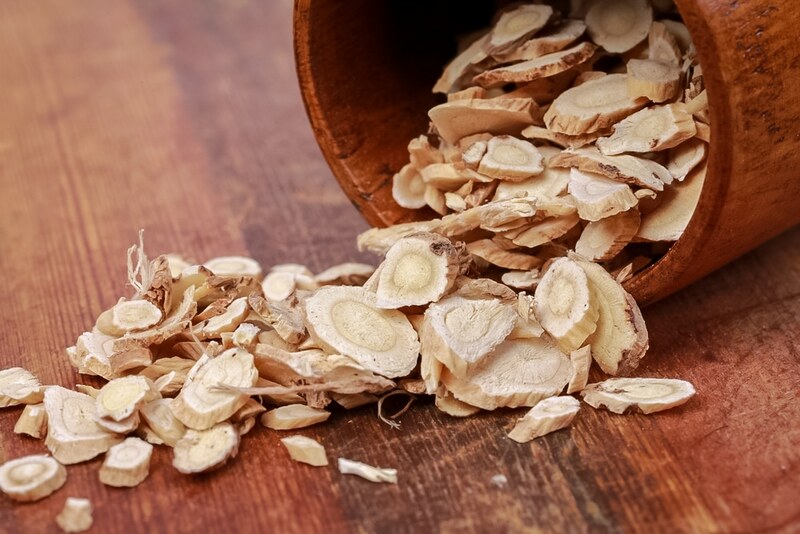 But one adaptogen tends to stand above all the rest, particularly in the arena of general wellness, energy, stress protection, and helping to ease the aging process. And this mushroom is the mighty Reishi, one of the healthiest fungi people can get! More than any other medicinal mushroom, Reishi has been studied and used as a general adaptogen for basic health and wellness for quite some time, even since ancient times. Because it benefits so many baseline aspects of what we call “good health” (immunity, energy, focus, etc. ), reishi can also be considered a great complimentary supplement for aging. THE IMMUNE SYSTEM – Compounds in the fruiting body help modulate the immune system, in turn preventing sickness and even curbing inflammation and autoimmune issues. INFECTION – Reishi is antiviral and antimicrobial. On top of deterring common viruses like colds and flu, it can inhibit harmful bacteria from developing in the body, such as in the digestive tract. DIABETES – Many animal studies show that the mushroom helps lower blood glucose levels back to normal. This could make it a helpful aid to diabetics, and great for preventing diabetes. HEART DISEASE – Studies also suggest that reishi has mild effects against heart disease. 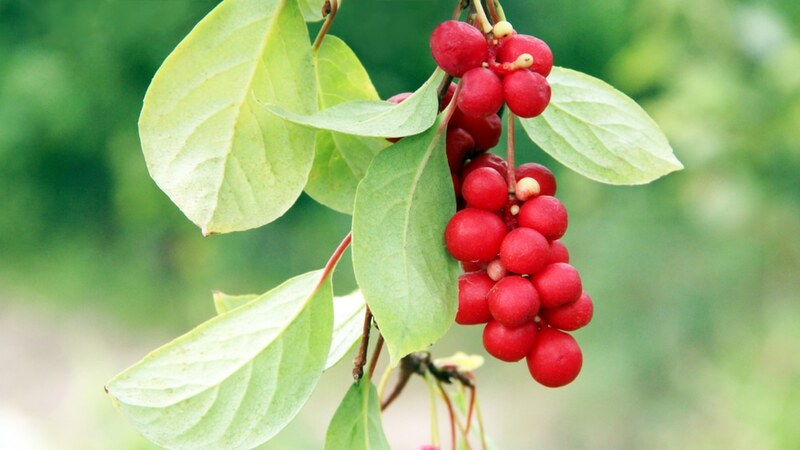 It can lower bad cholesterol, raise good cholesterol, and prevent blood pressure from rising. MEMORY – Reishi is a nootropic, meaning that it boosts the function of neurons in the brain. This makes it neuroprotective, which improves memory, focus, cognition, and even reduces the risk of depression and diseases like Alzheimer’s. THE LIVER – The liver is one of the body’s biggest “filters,” along with the kidneys. If the body struggles with the effects of too much sugar, alcohol, or a bad diet, reishi can bounce it back by aiding the liver, encouraging the body to heal and work properly. FREE RADICAL DAMAGE – Reishi works like an antioxidant according to many trials. This reduces damage to DNA, which creates harmful inflammation, disease, and greater aging effects. CANCER – This ancient mushroom shows quite a bit of promise against cancer. On top of its antioxidant abilities that prevent free radical damage (which can lead to cancer), the mushroom has also been observed killing and reversing tumors and cancers. 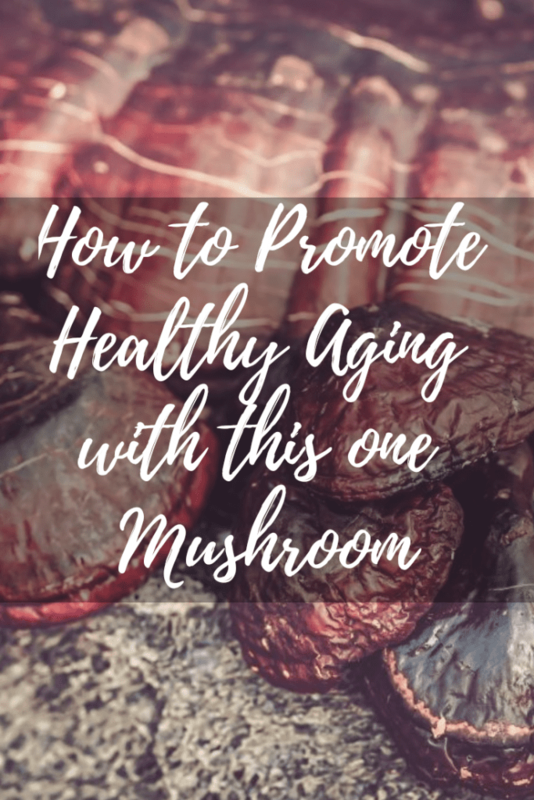 Well, the connection is obvious: all the above health benefits that reishi demonstrates can be especially useful when we age. Immunity can go down with age. Getting older can make one more vulnerable to sickness, even to issues with inflammation and autoimmunity. Reishi may help combat this. Our chances of infection and disease go up. All the more reason to take advantage of the immune-boosting benefits, though reishi can also be of help in the realm of viral and bacterial infections. Chronic illness can set in when we get older. 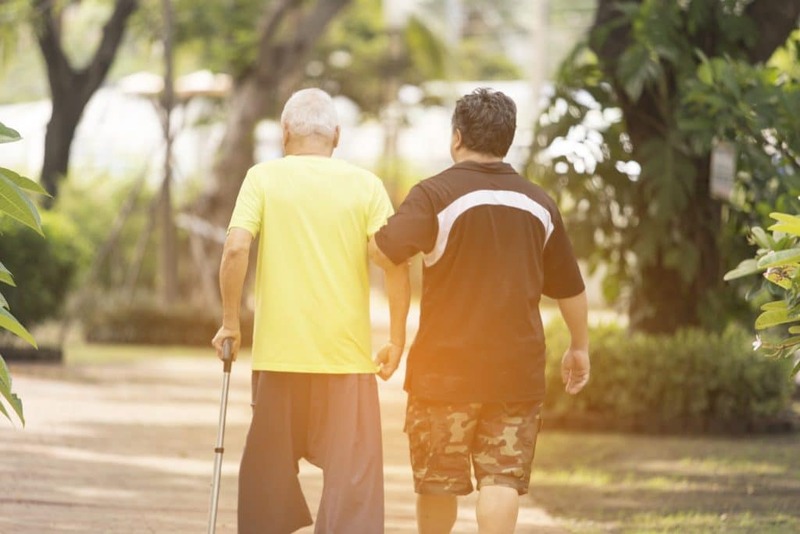 After living a life with some unhealthy habits, it’s true when we age a bit that chronic illnesses like diabetes and heart disease tend to spring up. That goes for cancer, too. Reishi may help prevent these from developing—or once they have developed, they can help improve health and prevent them from getting worse. We start getting more of those “senior” moments. But reishi may be an herbal ally to bring people back from the brink. It improves mental clarity, memory, focus, and can stop forgetfulness. Taking it a step further, it can help prevent Alzheimer’s, a disease that’s more likely to set in as people age. Free radical damage is, in and of itself, the aging process. Working like an antioxidant, reishi can provide a proactive way to slow down free radical damage, which in and of itself is part of how we age. 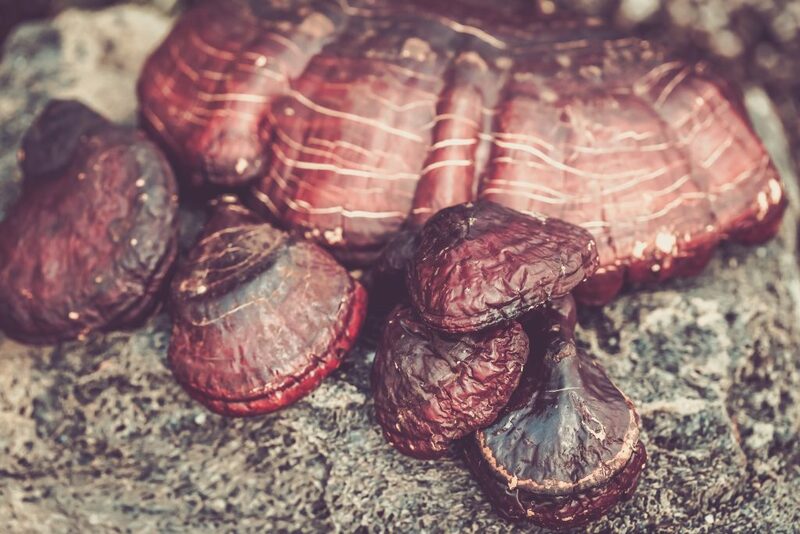 Altogether, these properties make reishi mushroom one of the perfect supplements to get through the aging rite of passage that we all go through. Reishi’s brain-boosting, immune-stimulating, cancer-fighting, and disease-protecting powers all come down to one decision: choosing the preferred form for how we want to take it. Luckily for those of us facing the onset of aging, reishi can be found in supplement form. But is all the reishi that a person can purchase likely to be the same? Not really, when examined closely. That’s because people are faced with the choice of taking reishi in powder supplement form or extract form, and they definitely have their differences—some for good and some for bad. Reishi in powder form is simply a product of the mushroom’s dehydrated fruiting body. This is then processed into a fine powder, which can either be taken in a capsule form or sprinkled onto food or in a drink as a supplement. Its limitation: components of the reishi fruiting body (called “chitins”) are completely indigestible by the human body. Without the proper extraction techniques (hot water and alcohol) the compounds responsible for reishi’s researched properties simply aren’t released or made available. With that said, dehydrating the mushroom alone just isn’t enough. The body still does get some health benefits, namely from the triterpenes with immune-boosting and cardioprotective qualities. But we miss out on reishi’s enviable polysaccharides, which gives us the mushroom’s neuroprotective, anti-diabetic, and anti-cancer abilities—that is unless we go for a different extraction method. On the other hand, an extract is another choice in place of a supplement powder. This involves a submerging of the mushroom body (or even its processed powder form) in hot water or alcohol. But this has its own limitations too. While hot water and alcohol do a better job of unlocking reishi’s powers for a more therapeutic extract, single extracts will only extract certain compounds: hot water extracts have only triterpenes, while alcohol only extracts the polysaccharides. In some cases, reishi extracts are arguably better products than powders because availability is boosted. But we really only get a one-dimensional supplement that lacks some of its other desired qualities in the process. Fortunately, some supplement companies have found a clever solution: dual extraction. Also called double extracts, these are a combination of the two extraction methods to create a whole, two-dimensional extract of both water and alcohol mediums. This way, we get the complete composition of polysaccharides and triterpenes with each dose, along with all the possible benefits that reishi mushroom could provide to take the edge off the impacts of aging: including immune-boosting, neuroprotection, antioxidant potency, and more. Together, these double extract mediums make these reishi extracts far superior to the standard extract. What could be better than a double extraction? Using the actual spores of the fungus instead of the fruiting body altogether. Studies have shown that the spores of reishi could be even more potent in its phytochemical content, more than what is possible with a double extract. Still, spores run into the same obstacles that double extracts do: having the tough outer coating of chitin that prevents its benefits from being available to human digestion. To make spore qualities accessible, they must be “cracked” using modern techniques, which expose the healthy phytochemicals inside. This allows for a wildly superior reishi product, one that is much more valuable and expensive than double extracts alone. 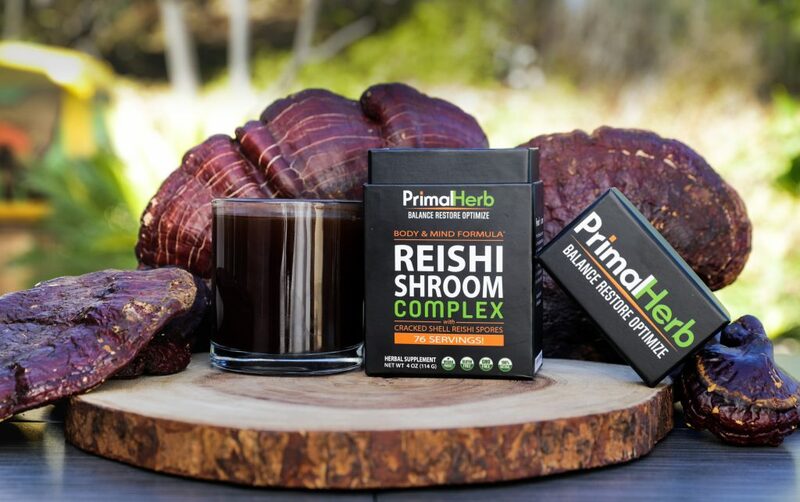 Taking Reishi’s possibilities even a step further, here at Primal Herb we combine the amazing capabilities of the Reishi dual extract with its even bigger path for potential in cracked shell spores. Want the healthiest aging benefits possible from the reishi mushroom? Together, the Reishi Dual Extract and Cracked Shell Reishi Spores provide the highest possible composition of triterpenes and polysaccharides together possible, making the transition into old age something to look forward to—and not to dread.